Playing in a downpour in cold, windy weather was probably not the best for any of the teams playing on Mackinac Island, the location of the Northern Lights League soccer tournament. 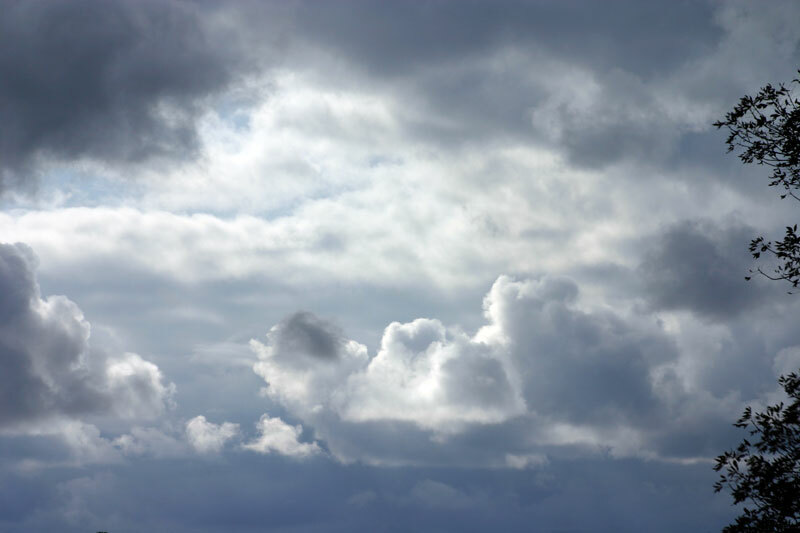 The weather certainly was "nasty" on Friday as pictures in another story show. The Islanders played their first game against the Mackinac Island Lakers after a bye due to their league standings. It appeared as if Mackinac wanted to play a defensive game, but the Islanders put their offense together and scored 5 goals against this defensive effort. Doug Campbell got one goal, Dereck McDonough scored 2 goals, Cameron LaVasseur scored 1, and Olvia Cary scored 1 goal. Dereck McDonough had one assist and Cameron LaVasseur had one assist also. Defending the Islander goal was Jewell Cushman, who did not allow any goals to be scored. Islander win 5-0. The Islanders then needed to sit and watch the semi-final games be played in the wind-driven cold rain. They were already sopped, but had to wait until the finals. The weather played a big part in the day as the semi-final games were cut down to 20 minute halves instead of the normal 30 minutes. The Islanders final match-up was against Grand Marais, and it was also a game with 20-minute halves. This game was lower in score with the Islanders scoring two goals. Jenna Battle scored one goal and Dereck McDonough scored one goal, making the Islander final score 2. Bryan Timsak had one assist. Olivia Schwarzfisher defended the Islander goal and had 2 saves, but managed to shut-out the Grand Marais team. Final score was 2-0. The Islanders' triumph had to be a mixed emotion event since they had to forfeit the district tournament game in Harbor Springs due to weather-related inability to travel, but this is a great way to end the Islander soccer season. Coach Matt Ritchie said, "This was a fun season. The last game tested everyone's will and desire to be the #1 team, but they came home with the trophy they deserved." Well said, coach! 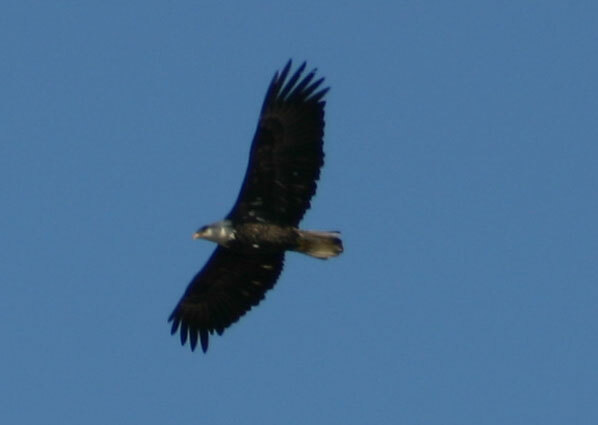 We hope to have some pictures and a few video clip highlights up early next week. As some of you know, Howard and Sally Davis left early this fall due to some physical problems that Sally was having. This past Monday, October 19, 2009, Sally went in for some surgery. They are awaiting the outcome of some tests to determine the treatment regimen for her. It is possible that Sally has cancer, but there was a biopsy taken on Monday. This Afternoon ...Rain...Breezy. Highs in the mid 40s. East winds 15 to 25 mph with gusts to around 40 mph. Of course this forecast was absolutely correct, but the word that came to mind right away was "nasty." The Emerald Isle was not thwarted from its mission of bringing passesngers and freight to the Island. 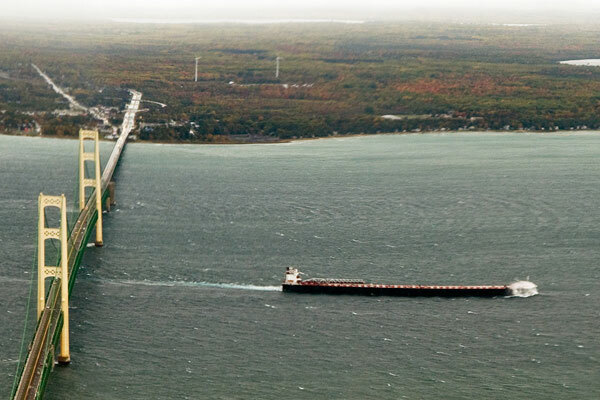 As of 12:30 p.m., the ferry was enroute to the Island from Charlevoix. There is a Beaver Island soccer team on Mackinac Island playing in a soccer tournament in this nasty weather. We all wish them well, and hope that this weather doesn't help weaken their ability to fight off the flu that is going around. From Whiskey Point all along the Gull Harbor Road, the driving rain came in one side of the car through an open window and kept getting the camera lense wet, covered with droplets of wind blown water. The view out toward Hog Island wasn't too pleasant trying to imagine what a boat ride in this nasty weather might be like. In this season of Halloween, there is an all out effort to allow the out of town residents and opportunity to see the the trick or treaters and to provide the youngsters with treats. If you live out of town and would like to participate, just drive your vehicle into the parking lot of the Gregg Fellowship Center on October 31, 2009. The "trunk" and treat event will begin at 5 p.m. and run until 8 p.m. There is a possibility that there may be some cold cider or some hot chocolate being available inside the fellowship center as well. If you are an out of town resident and would like to participate, costumes are encouraged, but not required. No prior registration is necessary. Questions? Call Judi Meister. 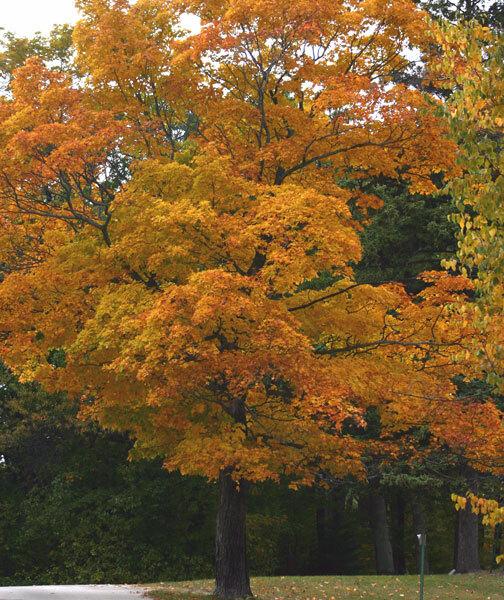 The Charlevoix County Commission on Aging will hold its regularly scheduled monthly meeting on Beaver Island on Monday, October 19, 2009, from 10 AM until noon at the Beaver Island Community Center . 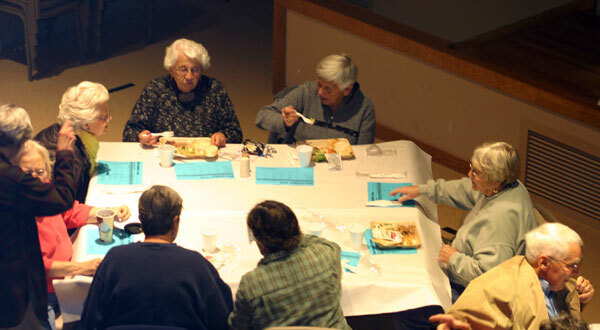 The monthly senior dinner was held on Sunday, October 18, 2009, from 11 a.m. until 1 p.m. with a good turnout. 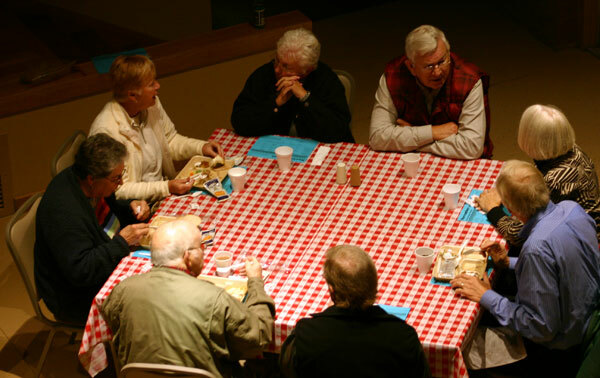 This is a great opportunity to socialize, eat, and relax at the Beaver Island Community Center. The dinner is open to all community members. The cost is only $6 for those under 60 years of age and $3 for those 60 and older. The food was excellent. There was plenty to fill you up. Turkey, mashed potatoes, lettuce salad with tomatoes, bread and butter, apple crisp, and coffee, milk, and water were also provided. Along with dinner served, Ken Bruland made a present about his Paddle for Food trip from Beaver Island to Prentiss Bay in the upper penninsula. What a grand day! Ken Bruland presented his pictures and video clips of his trip from Beaver Island to Prentiss Bay in the upper peninsula. 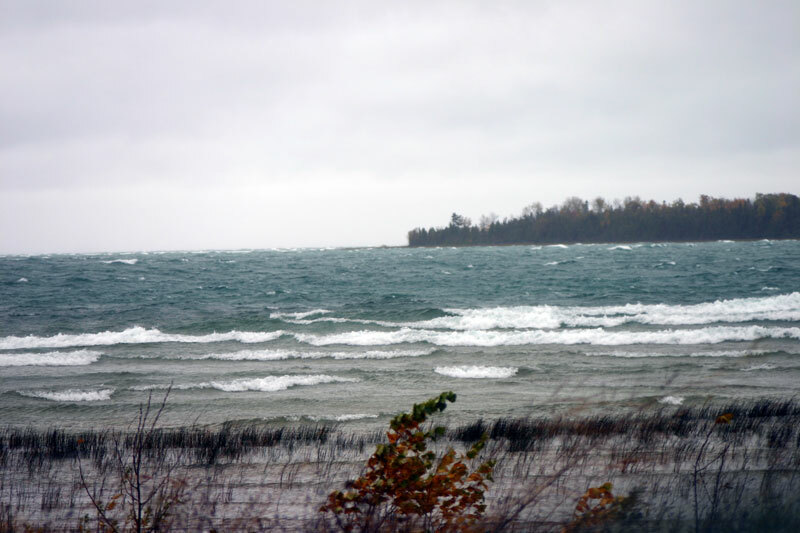 The 85-mile trip turned into a 100-mile trip, and Ken Bruland explained it all in an interesting presentation on Sunday, October 18, 2009, at the Beaver Island Community Center. Beginning at noon, and during the Senior Luncheon, Ken's presentation lasted from a little over an hour. There were pictures, video clips, and interesting stories along with maps and charts, with one or two amusing stories thrown in as well. Ken Bruland began his presentation by thanking a large number of businesses and people who helped him get this project going and helped bring him up to today with this presentation. Some of the thank-you's will be done here in text and others will be done on the video clips that accompany this story. Ken Bruland thanked these people for their donations to help fund the actual trip. The sponsors were: Steven and Eleanore Hagerman, Dan and Sarah McCafferty, Shirley and Dave Curtis, Jim and Caroline Latta, Carl and Jackie Evans, Marijean and Francis Pike, Kirt and Sue Camper, Pete and Deb Plastrik, Bob and Sue Welke, Buck and MaryAnne Ridgeway, Liam and Marilym Racine, and Kirk and Judy McBride. "They helpd me out financially and I really appreciate that," Ken stated. 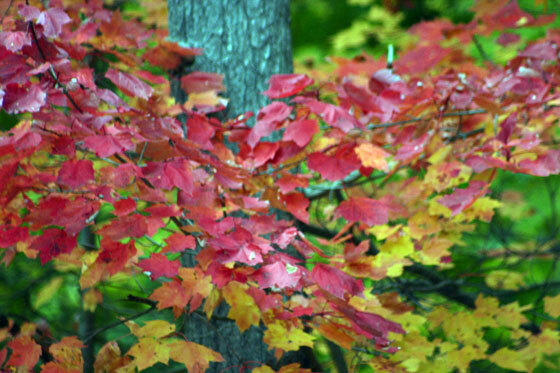 "I need to give special thanks to Bill and Jeff Cashman.....for all of their work including thank-you cards and all of their advertisement....for two articles, one before I left and one after I came back... that helped to get the word out about this whole thing.......Thank you also to Steve and Elaine West who wrote a nice article after the trip was over..."
What more could you ask for on a Sunday morning after church and before a dinner? The Beaver Island soccer team is a strong team in more ways than one. First and foremost from outside observers is the obvious teamwork and the desire to help each other score goals. Second, the team is in excellent physical condition. This was just as evident on Mackinac Island as it has been here on Beaver Island at the home games. On Friday night, the Islanders swept past the Lakers giving the Lakers a sound defeat with the final score 9-1. Scoring goals for the Islanders were: Brighid Cushman 1, Bryan Timsak 2, Jenna Battle 1, Kristy Bousquet 1, Dereck McDonough 2, Olivia Schwartzfisher 1, and Cameron LaVasseur 1. Assists were provided by Jewell Cushman 1, Jenna Butler 2, Olivia Schwarzfisher 1, and Olivia Cary 2. Jewell Cushman had two saves in the goal, Bryan Timsak had three saves in the goal, and Olivia Schwartzfisher had three saves in the goal. On Saturday, the same type of teamwork pushed the Islanders to a 9-0 win. The Islanders scored all nine goals in the first half, so the game ended at that point. Bryan Timsak had 2 goals, Cameron LaVasseur had 4 goals, Dereck McDonough had 2 goals, and Kristy Bousquet had 1 one. Assists were by Bryan Timsak 1, Cameron LaVasseur 1, Dereck McDonough 1, and Jewell Cushman 1. Wednesday the Island soccer team will play in their first district game at Harbor Springs against Harbor Springs Christian. (Canceled due to weather.) If the Islanders win this game, they will be back in Harbor playing again on Saturday. 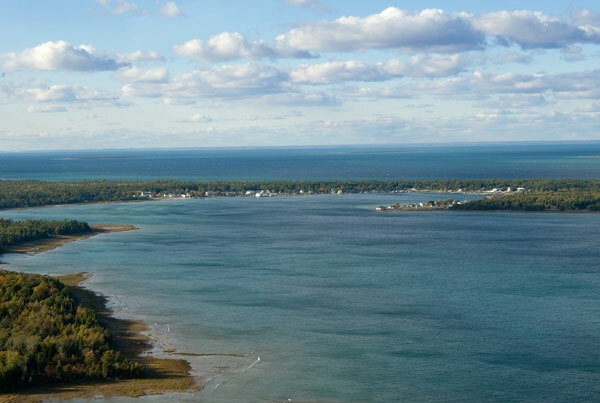 On Friday, the Northern Lights League Soccer Tournament will take place on Mackinac Island. This will be a busy week for the Beaver Island soccer team. Good Luck, Islanders! The Lady Islanders have played some fairly unchallenging teams recently, but the Lady Lakers were by no means easy. The Lakers were a very challenging team to play. Although the Islanders were losing on Friday night, the games showed excellent play by the Islander team. The Lakers pushed past the Islanders on Friday night in a 3-0 run in the best of five match. The Lady Islanders were up-and-at-'em on Saturday morning and playing very hard. The Islanders pushed the Lakers into a tie-breaker fifth game after matching the Lakers 2 games to 2 games. The Lakers were able to put on the brakes to the scoring of the Islanders and pushed past the Islanders winning the tie-breaker by five points. "The girls played well," Coach Kerry Smith said. "This was a good year for my first year of coaching. We got second place in the Northern Lights League. Mackinac got first place." Having attended all the home games, this reporter is looking forward toward another year of excellent work by the Lady Islanders. Someone said, "The team has a lot of talented younger players. Watch out in the future!" More Than One Way to Clean a Barge? 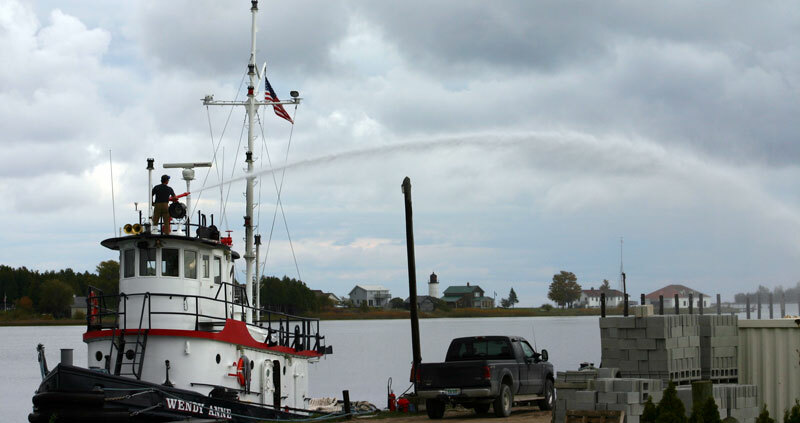 This deck gun might remind you of a fire truck deck gun shooting water to clean the barge?? 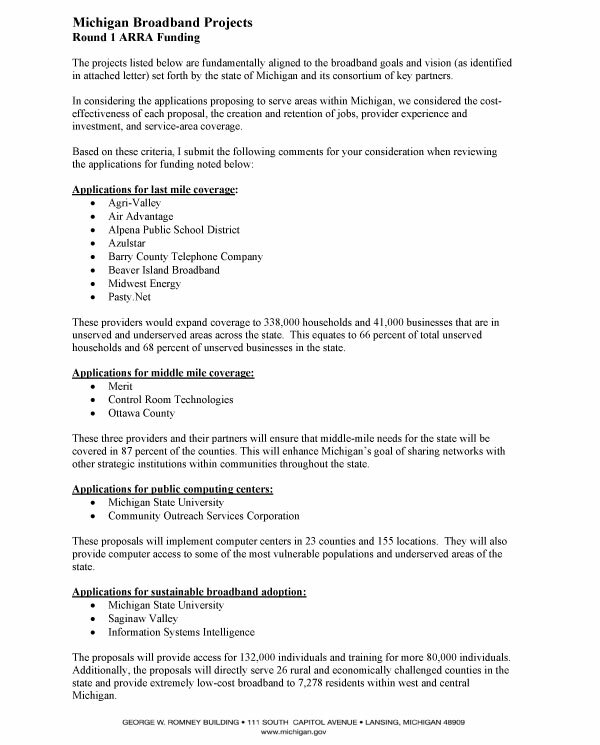 Although there is no definite information about the grant application sent in by the newly formed Beaver Island Broadband, Inc., (BIBI) this step below shows that the governor is interested in obtaining these funds for Michigan. It will be mid-November at least before BIBI will know if they made it through the first cut, and, if so, the real work will begin. Hopefully, BIBI's grant applications will be successful for the competition and extended services that this plan will provide. "The projects identified in the governor's letter to the NTIA as key to the implementation of the state's strategic goals would bring broadband access to 66 percent of current unserved households and 68 percent of unserved businesses across the state. In announcing today's input, Granholm also reiterated the state's commitment to making access available to every citizen in the state. Granholm's letter to Lawrence Strickling, U.S. Dept. of Commerce Assistant Secretary for Communications and Information, included comments on last-mile coverage in rural areas ranging from Barry County to Beaver Island to Alpena to the Upper Peninsula -- expanding service to 338,000 households and 41,000 businesses that are in unserved and underserved areas across the state. Improvements in suburban areas were also requested across the state, as well as for public computing centers in 23 counties and 155 locations and for sustainable broadband systems." 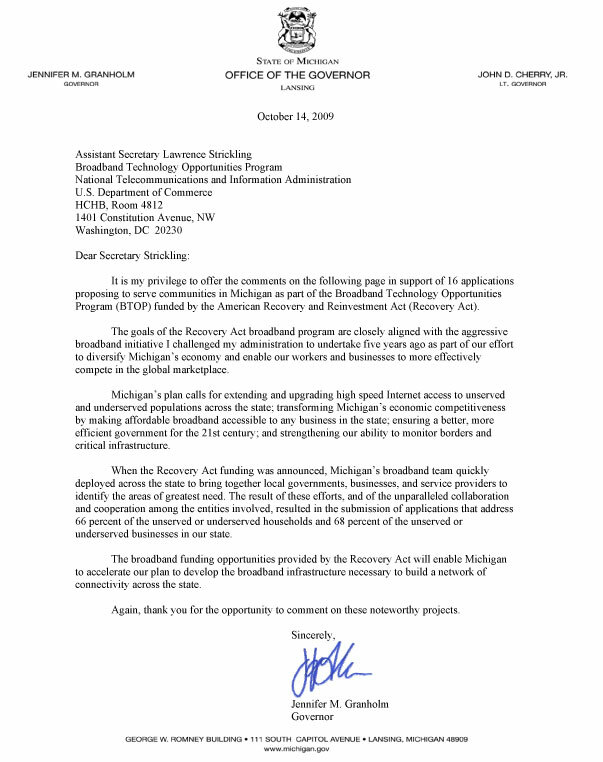 On October 14, 2009, Beaver Island Broadband was included in a group of (8) Last-Mile Michigan Applicants for Federal Stimulus funding recommended by Governor Granholm for consideration by the U.S. government. 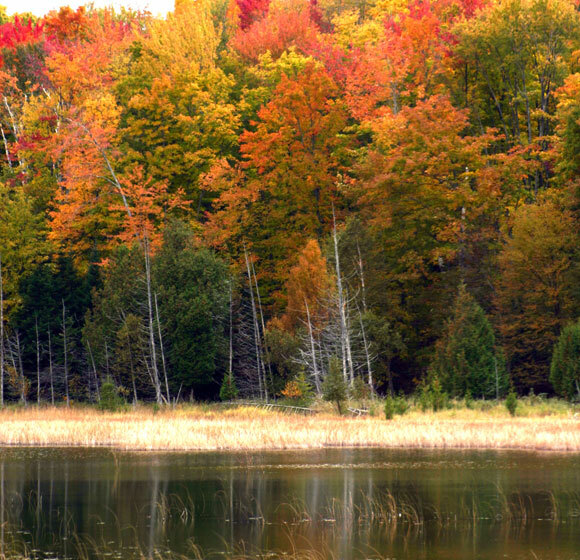 We anticipate hearing from the U.S. government between November 1, 2009 and November 15, 2009 if Beaver Island Broadband will make the "first cut" at the Federal level. If we make the "first cut", we will move into the second phase in which the final successful applicants are selected. The timing for making the final announcements in phase "2" is unclear at this time. As the timing becomes clear, we will notify you. The good news is that we are still in the race. The hope is that we will be selected for funding. Each of you are part of a much larger group of people who have provided the time, energy and dedication to bring us to this point. We commend you and ask that you express our gratitude to those not listed in this e-mail who have contributed so much. Please call me at the Township Hall (448-2389) or at home (448-2441) if I can provide any further information. 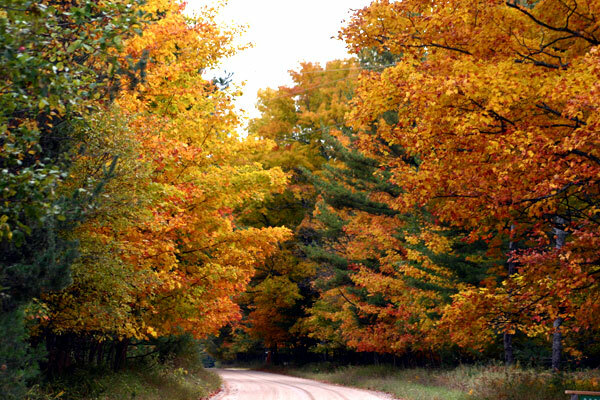 A short drive around the Gull Harbor, Paradise Bay, and Barney's Lake Road will show the fall colors are definitely here. 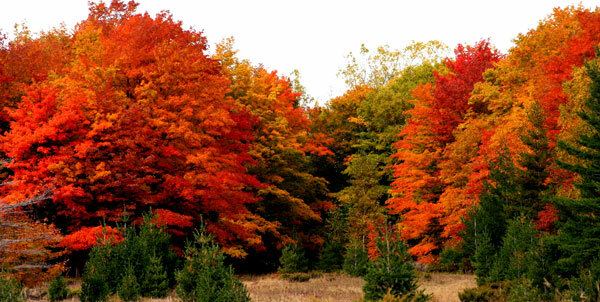 If only we had some consistent sunshine to help show the beauty of the Island in this season. On Wednesday afternoon, October 14, 2009, the Lady Islanders swept through two 3-0 matches against the very young Ojibwe team. There were high points for all the players on the Islander team with most players getting an opportunity to play, particularly the younger players. 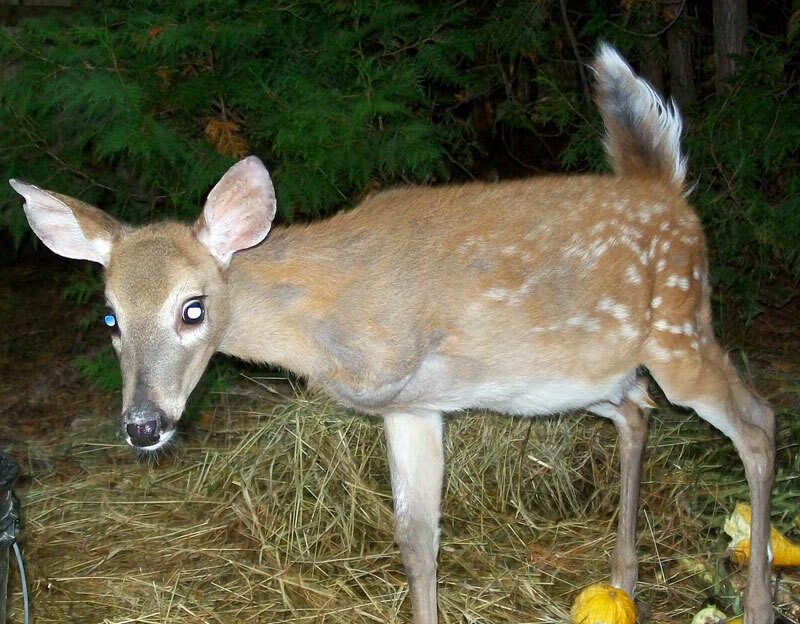 Beaver Island News on the 'Net posted a story back in July about a rescued fawn that was brought to Jeff Powers DVM, who took care of the fawn and then was required to transfer care of the fawn to a rehabilitation center. Jeff Powers forward the email that he received recently that show that the rescued fawn that is missing one leg is doing well. You can read the original story by clicking HERE. For more story and pictures, you can go HERE. TALKING THREADS QUILT GUILD IS HAVING A WORKSHOP FEATURING A CLASS IN FOUNDATION CRAZY QUILTING. 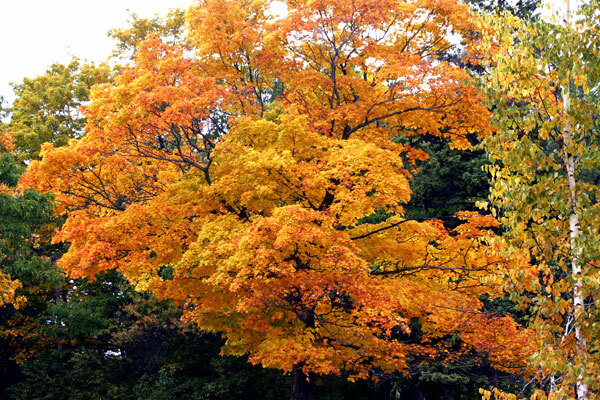 IT WILL TAKE PLACE AT PEAINE TOWNSHIP HALL ON SATURDAY, OCTOBER 24, 2009 FROM 10:00 A.M. TO 5:00 P.M. THE FEE IS $10.00, PLUS SUPPLIES, AND LUNCH WILL BE PROVIDED. A LIST OF SUPPLIES NEEDED WILL BE POSTED AT THE LIBRARY AND THE COMMUNITY CENTER. YOU MAY ALSO OBTAIN A LIST BY CONTACTING DONNA STAMBAUGH AT 448-2797. Prizes Awarded For The Best Costumes! This event is free of charge and open to all children, teens as well. Tickets for the games will be given out at the door along with a treat bag. Treat bowls will be set up at each game and each child is allowed one treat from each bowl. Prizes will be given for each game. The costume judging will take place after the games. There will be a separately judged costume contest for teens which will follow the judging of the younger children's costumes. Snacks and punch will be set up at the kitchen. There will also be and area for children to sit if they are frightened by any of the decorations or costumed game operators. If you have any questions or are interested in volunteering to help, please call Tina Walker at 448-2020. I would like to thank the volunteers, in advance, for their dedication in helping provide safe and fun activities for the youth of Beaver Island and I would also like to thank the Beaver Island businesses who's generous donations have made this event possible. Thank you all! At the St. James Township meeting last night, October 7, 2009, the AMVETs Post 46 made a presentation to the township board for using the old power plant park area as a location for an AMVET Memorial Park. There are some lease issues that need to be resolved, but St. James approved this use of the property contingent upon the lease with Wolverine Power Company. These wonderful pictures are also by Frank Solle. Thank you, Frank! There was enough wind to cause the spray from the waves to cover the bow of this large freighter. 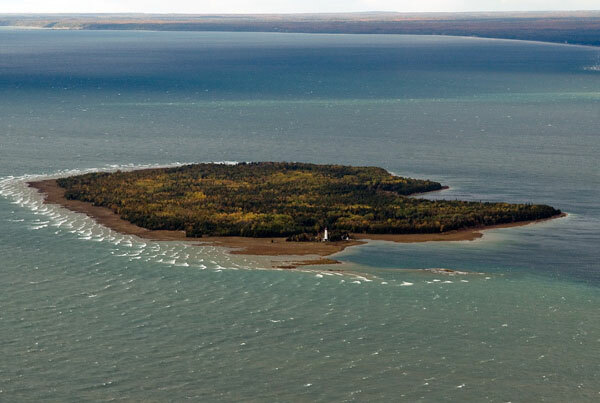 St. Helena's Island and light, standing guard near the straits. 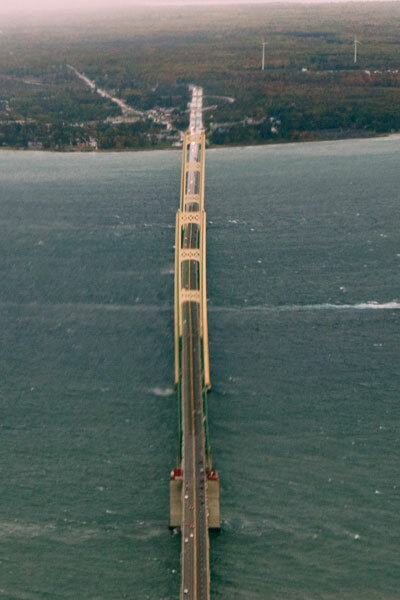 It looks like the bridge is twisting in the 45+ mph winds. Maybe it was. Passing the mouth of the harbor, as inviting as ever. 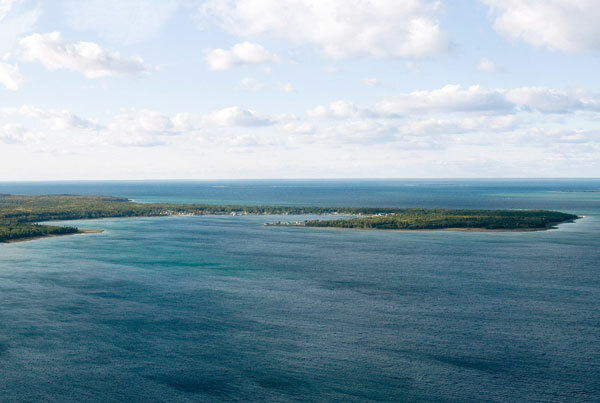 ...Ah, the sun always shines over Beaver Island. Northern Lights League Tournament on Mackinac Island will take place on October 23 instead of October 24 due to ACT testing on October 24.